Academic leaders and educational policy makers have always explained how to improve our “education system.” But our “educating” practices tend to be much slower in making the fundamental shifts needed to match their visions. If we look at the current landscape, however, there are many reasons for educators to be optimistic and to be involved in making the changes demanded by our time. 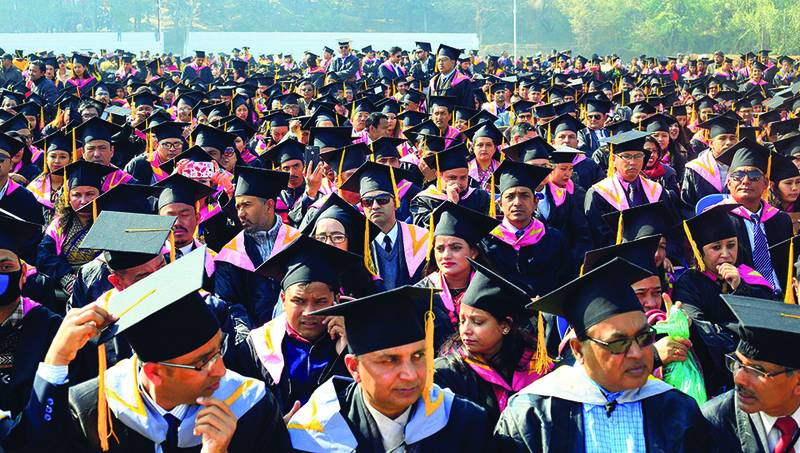 As we discuss in this essay, a grassroots movement is taking place in higher education, specifically in our largest public institution, Tribhuvan University, where many professors are making major shifts in teaching-learning. Describing five key shifts that a group of TU professors has been advancing through teacher training initiatives in the past few years, we illustrate how these shifts could help our institutions translate their educational visions into practice. Some context first. In a yearlong online training program in 2016-17, a dozen TU professors started updating teaching strategies for themselves. By the end of the year, they started training colleagues in their departments and colleges. In the summer of 2018, a two-day training program was organized where those professors facilitated training for about 40 new participants. The VC, Rector, officials from Higher Education Reformation Project, and five of the nine deans shared their vision for the initiative; their focus was on guiding practice. The program enjoyed broad logistical and intellectual support. The event ended by forming two tracks of online training, which have since continued every month, one for STEM and Management and the other for Humanities and other disciplines. This phase of training has prepared members to go outside the Kathmandu Valley for training other colleagues. Members of the training initiative have contributed to orientation and training in a number of cities outside the valley, as well as conducting pilot sessions at various colleges in Kathmandu. Another onsite program is being organized where trainers will support a larger group of faculty from across the country, sharing the resources they have created (including a Trainers and Teachers Handbook on Semester-Based Education) through their collaboration in the past few years. The plan is to provide these resources to more teachers across the country, as part of expanding the shifts we discuss below. The first shift that our higher education must make—as reflected in the training program and resources for it—is to help teachers cut their teaching time in half and fill the other half with learning activities, roughly put. The Handbook, for instance, starts by providing numerous strategies for making students read texts and come prepared for class. This helps teachers to fill class meetings with student-driven activities: discussions, debates, presentations, collaboration, problem-solving, application of knowledge, skill learning, critical and analytical thinking tasks, and so on. Participants in the training practice how to “facilitate” classroom activities—one of them being the “use” of lecture for facilitating learning—ranging from one-minute papers to think-pair-share and write-pair-share activities, applying learning, and believing and doubting game. The balance between teaching and learning happens in terms of time teachers take in the classroom, number of learning activities in relation to teaching tasks, distribution of power/authority and responsibility between teachers and students, and students taking ownership of the process and outcome of education. The second shift that we need in our higher education is to move half the weight of student learning from gaining knowledge to also practicing intellectual, social, and professional skills. Instead of using syllabus prepared by anonymous experts and simply trying to “cover” the course by explaining what is in the book, participants in the training program practice how to meet curricular goals in the most creative and inspiring ways possible. They develop and share strategies for throwing the ball in students’ court, activating them physically and engaging them intellectually in the classroom, leveraging their knowledge and igniting their passion for the subject in their work before and after class meetings, and fostering student agency for lifelong learning. Teachers in the training programs learn to design class activities that translate knowledge into skills and to teach course content as a byproduct of skill development when the latter is feasible. 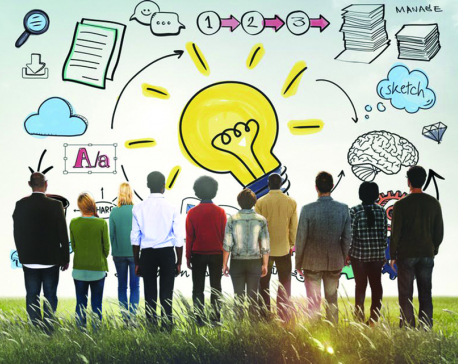 Instead of teaching how to write research papers, for example, teachers design paper assignments, create teaching materials like assessment rubric, learn to conduct workshops and peer reviews, and develop strategies for supporting students individually in the process of drafting and finalizing the paper. It is not enough, our teachers say, to tell students how to write good emails; they must learn and write good emails. The focus on skills, however, doesn’t mean that we want to turn higher education into job preparation. As one of us has written here before, the most versatile skills that our students can learn and use/adapt for a lifetime are seemingly the most abstract intellectual skills such as the abilities for analyzing situations and texts, formulating persuasive arguments, teamwork and conflict resolution, research and smart use of technology, and so on. The third shift that higher education needs is by reducing our reliance on examinations as an assessment tool. By assigning at least half (if not all) of the internal marks we give students to a variety of learning they must do, teachers can revolutionize higher education right within their classrooms. Even in annual system where students are most interested in preparing for the final/external exam, teachers can support and reward students to practice writing well for exams, for reading texts before class, for applying ideas to get things done (whether abstract or concrete). If test-taking is not a skill useful for any profession or in personal or social lives, participants argue, why make a tool of education look like the whole purpose of it? So, our colleagues are learning to move their focus away from pen and paper as the only mode of assessment toward rewarding a variety of assessable activities and processes that are also natural to both learning and life. A key difference that the diversification of assessment makes is by substituting summative tests with formative assessment activities. Instead of having students wait until the end to be tested for the sake of certification and ranking, teachers use assessment (including tests) to find out how well students are learning, give them feedback, update teaching, and shape student behavior in the right direction. The fourth shift that our higher education needs is to help our students pursue education as more than a degree. Trainees develop assignments and assessment tools that will foster disciplinary identity in students. That is, instead of simply getting a degree in engineering or economics, teachers help students become engineers and economists through the skills they learn and the disposition they embrace, increasingly, during degree programs. Teachers integrate activities for helping students develop the metacognition and metalanguage of the discipline and allied professions. They develop assignments and mentoring strategies to help students apply knowledge, involve in experiential learning, explore career options and develop professional profiles, and participate in professional development activities on campus. 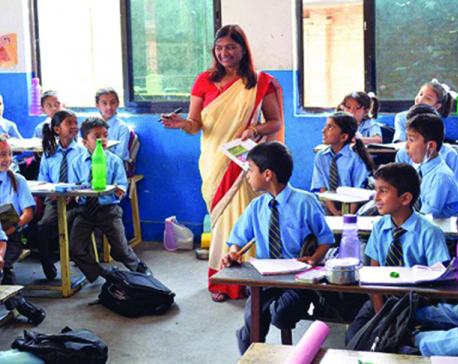 Teachers challenge students to independently research key concepts and problems in their fields of study, present about the value and application of the field’s body of knowledge, practice analytical skills and critical perspectives, and learn the skills and methods of intellectual and professional work in their disciplines. When teachers diversify assessment and that prompts a diversification of modes of learning and teaching, instead of all the dogs of teaching being shaken by the tails of written tests, teachers are better able to train future engineers and economists, and scholars of humanities and policy makers. This allows higher education to pursue the broader objective of the semester-based education, which is to respond to demands of changing social and economic spheres where our students will enter/continue their professional careers. The final shift that we envision and work to create through the training initiatives is to change the larger culture and environment of higher education. Making that larger cultural shift requires teachers to inform and inspire the new outlook among members of college administration, colleagues who need to better appreciate the change, and even parents and the public at large. It also requires adding academic and mentoring support for students beyond the classroom, such as by letting students individually consult us beyond the class, using academic support from specialized units such as writing centers and career centers, and participate in academic and professional events on campus. This is the third dimension of education, of experiencing it for shaping character and creating intellectual foundations for life. In the teacher training project, this aspect has involved broader intellectual and policy discussions that seek to create pressure on the system. It has involved creating resources such as the training handbook that captures all the resources and ideas possible from all initiatives in the past few years. And the idea of influencing broader culture is inherent in the design of training of trainers who are now going across the country to provide orientation and training to their counterparts. The five shifts developed from the ground up are now institutionalized not so much through ceremonies as they are by a community of scholars practically—through slow, often frustrating, process of change. The education our students receive today is in need of radical changes, but those changes are not going to come from experts theorizing and giving advice to others. As the collaborative efforts of our colleagues in Tribhuvan University and its constituent and affiliated colleges have shown, there are many educators who are already actively involved in making changes from the ground up, as well as identifying and assessing problems. It is with the action-driven grassroots change in practice that Nepal’s higher education will hopefully be able to meet the demands of our society and economy, and our future. 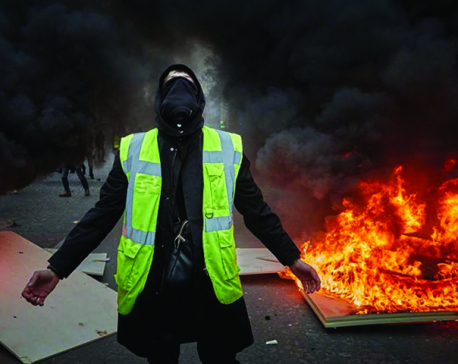 To make the shifts we described above and to keep pushing them forward, a very active team of scholars from across the disciplines has played critically important roles as advocates, trainers, participants, and intellectual forces. So, ultimately, from our position of leadership, a diaspora resource person, and an alumnus helping facilitate the initiative, we write to recognize the change being driven by the action of dedicated fellow scholar-educators, and we express our deepest gratitude to them for their commitment to improving Nepal’s higher education, in practice.